. . . definitely worth hearing: Batiashvili has long established herself as an intelligent, technically flawless violinist, and her synergistic relationship with Nézet-Séguin yielded a particularly distinctive reading of Prokofiev's Violin Concerto No. 2 with an almost 3-D sense of animation.
. . . a common thread is the beauty of Miss Batiashvili's playing. That's a definite feature of her Prokofiev performances. I really enjoyed the account of the First concerto . . . The concerto gets off to the most promising start. The ruminative opening really catches the attention: the orchestra is hushed and the soloist spins a silvery thread of sound. I find Batiashvili's way with this first movement highly persuasive. Her intonation is absolutely secure . . . she characterises the music very well. Often her playing is delicate but there's a touch of steel when required. Nézet-Séguin secures a marvellous response from the CoE . . . It's been a long time since I've heard such a refined performance of this concerto. The Second concerto is no less successful . 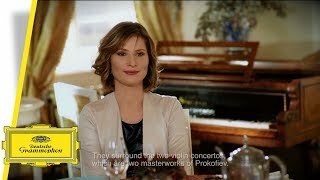 . . Around these highly successful concerto performances are placed three arrangements of well-known Prokofiev pieces by Lisa Batiashvili's father, Tamás. I think these work extremely well . . . a disc that contains excellent Prokofiev performances. Lisa Batiashvili consistently drew me in to the music and the support she gets from the Chamber Orchestra of Europe and Yannick Nézet-Séguin is outstanding. The DG engineers have done the musicians proud by capturing the performances in excellent sound. Batiashvili effectively echoes Oistrakh's warmth and there's a definite boon in having an orchestral accompaniment securely led by Yannick Nézet-Séguin . . . a powerful performance . . . [Violin Concerto no. 1]: Nézet-Séguin cues a fine-spun accompaniment at the start and close . . . I like Batiashvili's gentle swagger . . . She perfectly captures the music's sardonic spirit without overdoing the aggression. I also appreciate her free-flowing way with the solo opening of the Second Concerto, her subtle use of portamento and the sweetness of the first movement's second subject. The bittersweet second movement, which is ideally paced, has an appropriate air of chasteness about it, and as always Nézet-Séguin keeps woodwind lines well to the fore . . . I was grateful for having so much detail brought to my attention.
. . . very decent performances of Prokofiev's two Violin Concertos. Lisa Batiashvili enters the Concerto No. 1's first movement imperceptibly, floating over a carpet of shimmering tutti strings. This is one of the great concerto openings, Batiashvili's reticence melting away just before the two-minute mark. The quirkier middle section is a treat here, Yannick Nézet-Seguin's responsive COE strings alert to every sharp accent. Everything's perfectly judged: the scherzo whizzes past, and the finale's ticking clock has the right amount of dry wit. The end is a treat, Batiashvili and Nézet-Seguin disappearing into the ether, arm in arm. The Second Concerto . . . is a very different work. Batiashvili's unaccompanied opening solo is nervy and intense, the mood unsettling and distinctly chilly. There's respite of sorts in a lyrical slow movement, but this is an uncommonly serious performance. Even the supposedly upbeat finale has a whiff of desperation, the manic coda close to collapse. These are technically immaculate, thoughtful performances, handsomely recorded. The exciting violinist Lisa Batiashvili, who already has made outstanding recordings of a wide repertory, with the help of the excellent orchestra directed by Nézet-Séguin, plays both Prokofiev concertos to perfection. And her recording adds two bonuses: "The Dance of the Knights" from "Romeo and Juliet", and the familiar March from "The Love for Three Orange"s both arranged by arranged by the artist's father, Tamas . . . engineers have captured a very well-balanced natural audio picture.
. . . [Violin Concerto no. 1 / on Batiashvili]: une savante polyphonie des registres, un jeu très différencié et des phrases d'une grande pureté. 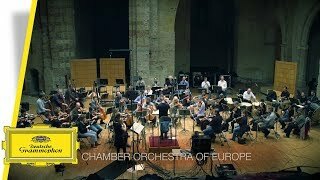 Dans ce premier mouvement comme dans les deux autres, le soutien souverainement souple et maîtrisé de Yannick Nézet-Séguin et d'un excellent Orchestre de chambre d'Europe révèle un raffinement fait de liberté et d'inflexions sensuelles . . . un sens aigu du déploiement sonore, de l'osmose avec le soliste et de la grande ligne qui met remarquablement en valeur l'éblouissante virtuosité de la violoniste géorgienne . . . Précise de trait et subtile de couleurs, la réplique de l'orchestre, lui permet de s'épanouir pleinement, avec une réjouissante netteté dans chaque phrase. Listen to the 5th Movement "Masks" of Claude Debussy's "Romeo and Juliet, Ballet Suite, Op. 64a, No. 1" played by Lisa Batiashvili live from Yellow Lounge Berlin. Listen to Prokofiev's 5th Movement "Masks" from his "Romeo and Juliet, Ballet Suite, Op. 64a, No. 1" played by Lisa Batiashvili and Milana Chernyavska. 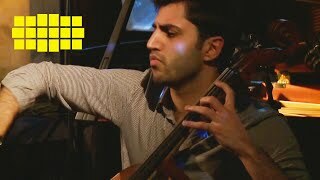 Listen to Johan Halvorsen’s “Passacaglia on a Theme by Handel” played by violinist Lisa Batiashvili and cellist Kian Soltani, live at Yellow Lounge Berlin. Watch Lisa Batiashvili play Sergei Prokofiev's The Love For Three Oranges, Op. 33, Grand March (Arr. For Solo Violin And Orchestra By Tamás Batiashvili) Live from Yellow Lounge Berlin. "My favourite thing about Prokofiev is his delicacy in music and his endless capacity to describe characters in music." Watch a first interview of the violinist Lisa Batiashvili speaking about her new album. Lisa Batiashvili presents a masterful version of Prokofiev's two violin concertos, in another first class musical partnership, with Chamber Orchestra of Europe and Yannick Nézet-Séguin. With her unique talent to turn standard repertoire into something new, fresh, elegant and special, this album will allow the listener to rediscover Prokofiev through Lisa’s eyes. Lisa Batiashvili's father was the first person she saw playing the violin. Today he makes transcripts and arrangements for his daughter. Learn more about how he supports his daughter and how he contributed to Lisa Batiashvili's new album 'Visions of Prokofiev'.